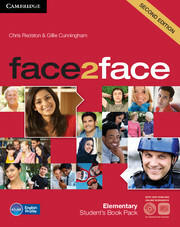 The face2face Second edition Online Workbooks provide the course workbook content plus additional collaborative tools in a package that supports independent study and teacher-managed self-study. As part of a virtual learning world, the online workbooks allow students to collaborate and communicate, and enable teachers to track work and progress. They offer a classroom without walls for schools that wish to take their teaching into the digital age. 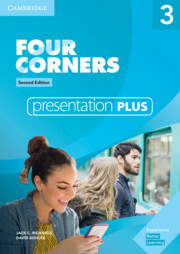 This pack contains the Student's Book with DVD-ROM and access to the Online Workbook.